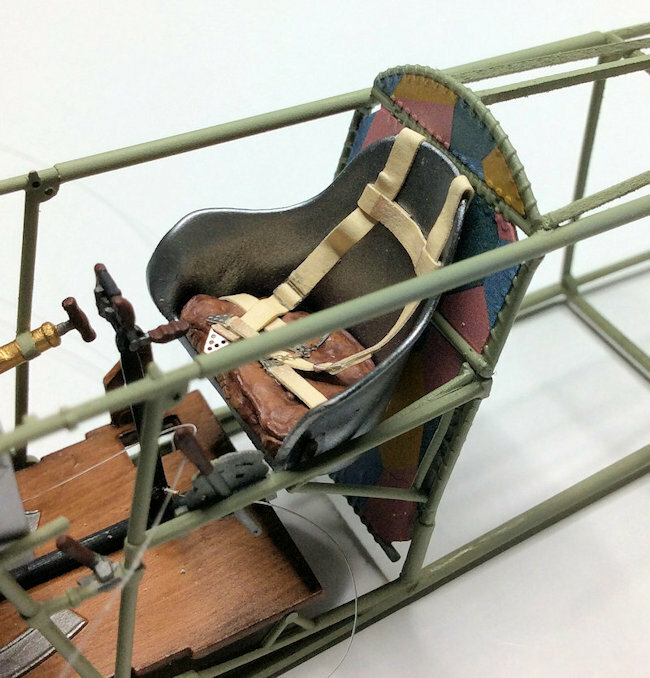 The first of the Fokker D.VII pair is completed. So now I'm starting the second of the models, the 'skeletal' model. 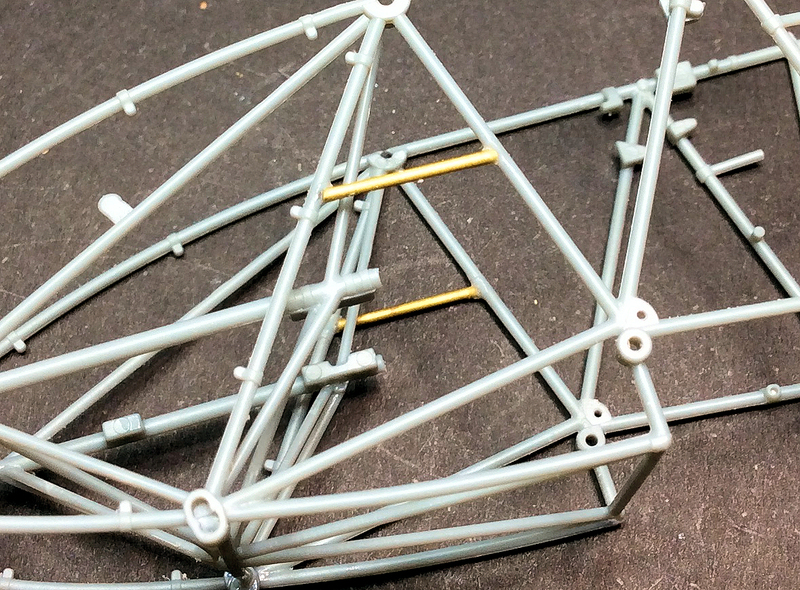 This will be a full view model with 3D printed parts from 'Shapeways'. 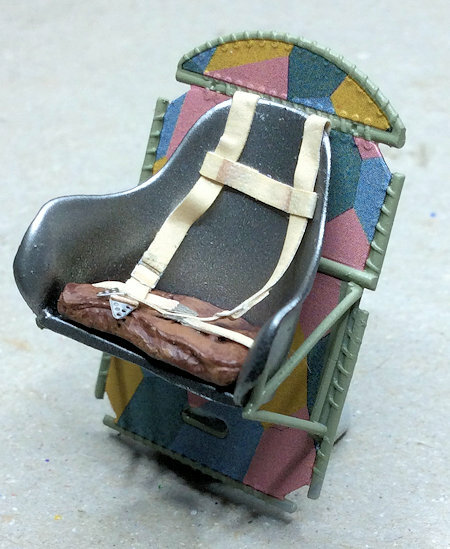 Created by Bob Monroe ('Flugzeugwerke') and available from ‘Shapeways’. 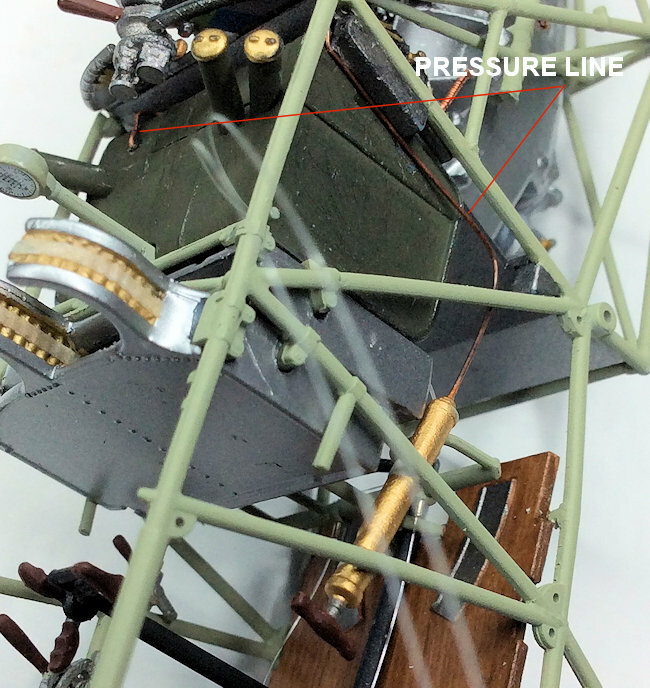 The aircraft structure will be the 3D printed Fokker D.VII structure. 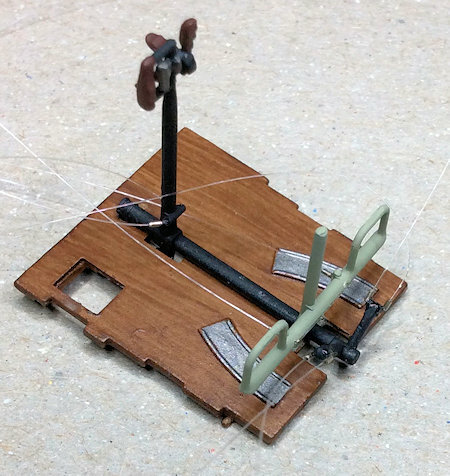 Created by Richard Andrews ('Aviattic') and available from ‘Shapeways’. 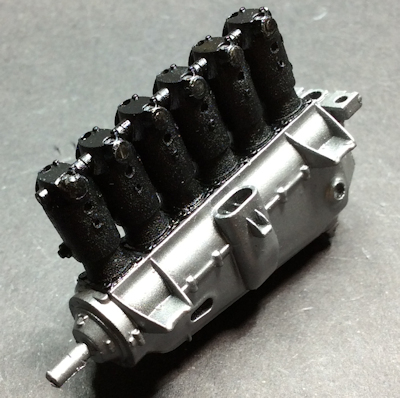 There will be other after market parts used. 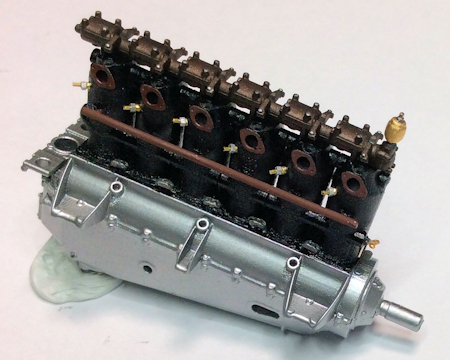 I thought I'd start with the engine, which had to modify slightly as the internal mountings in the 3D sump and block are too small to accept the kit supplied propeller shaft. 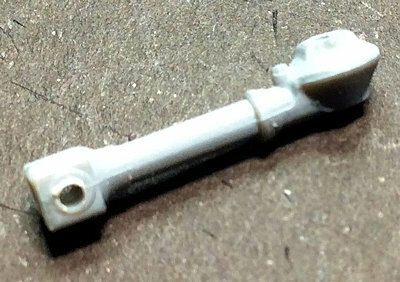 Instead I've made one from brass micro-tube to fit not only the 3D engine but also the 'Proper Plane' Heine propeller. A few more engine bits prepared. 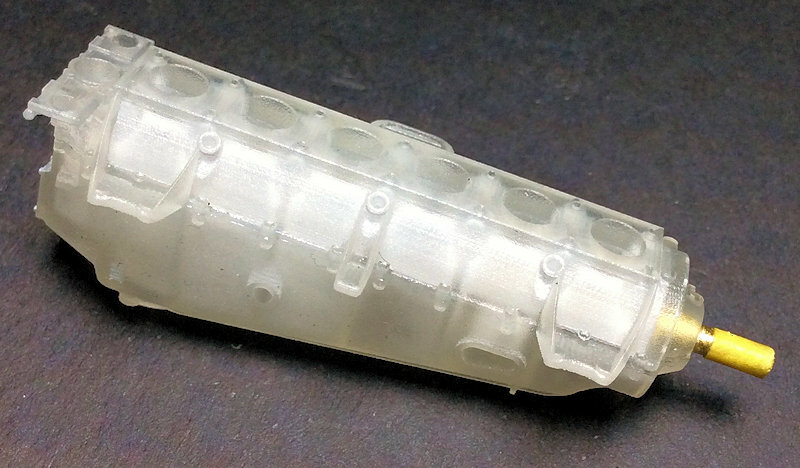 Spark plugs made from micro-tube and 'RB Motion' aluminium nuts. 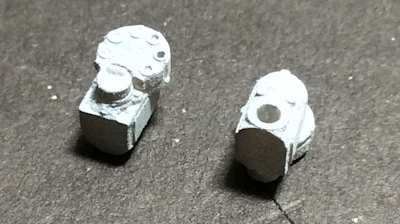 A couple of magnetos each made of four separate 3D printed parts. 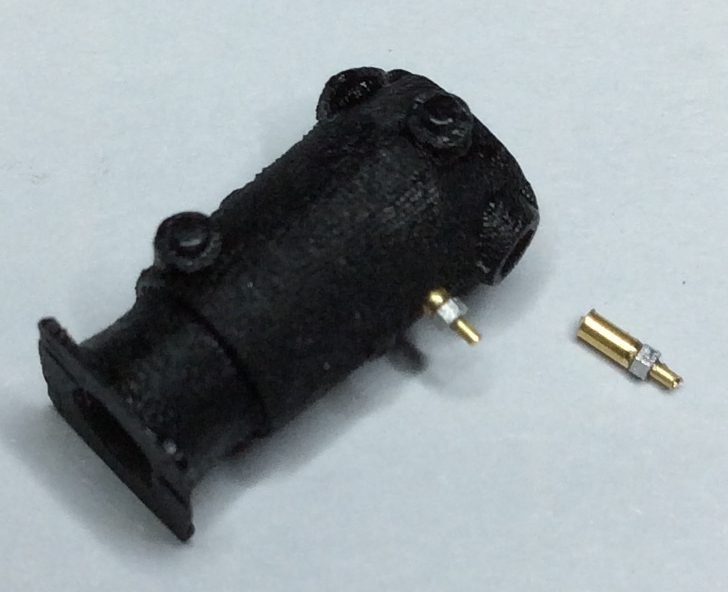 The ignition leads support tube made from micro-tube. 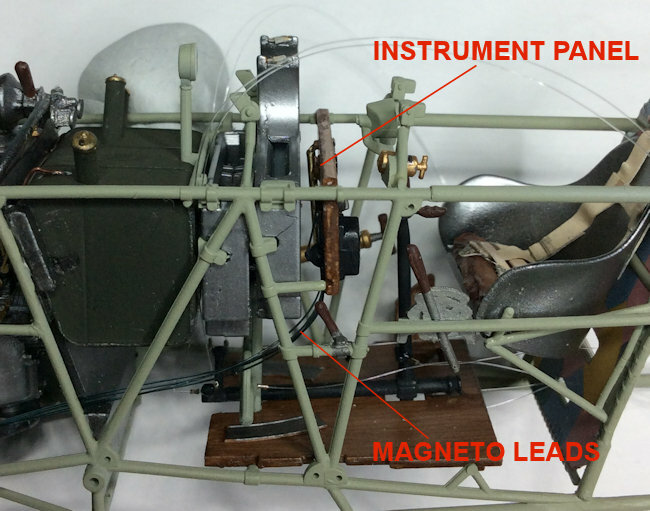 The magneto drive modified to fit the 3D engine with a brass rod for the magneto drives. 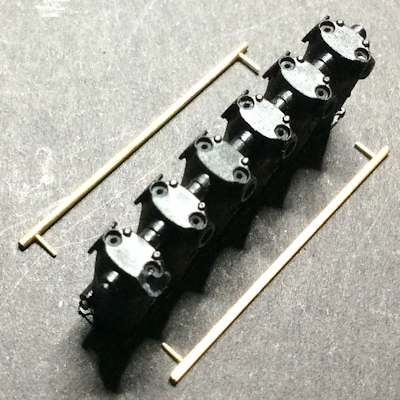 Starting to assemble the engine accessories now. So far the spark plugs, ignition lead support tubes, camshaft, air pump, coolant drain tap and cylinder base bridging clamps. Still have to add ignition leads, intake manifold with locking rings, water pump, coolant pipes, oil filler pipes, sump oil sight glass. 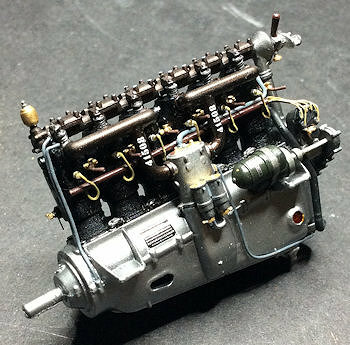 There's also a couple of other pipes plus engine controls. 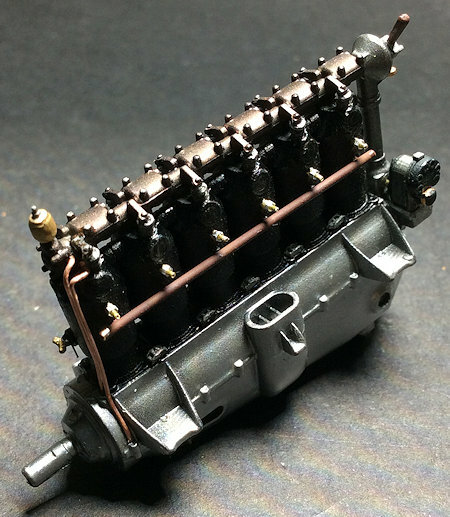 The end is in sight for this engine build. 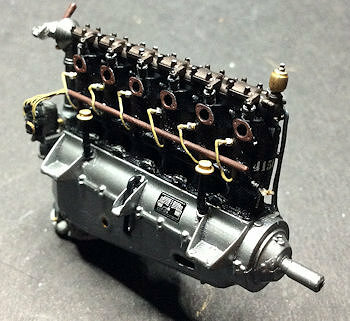 I've added the decals, ignition leads, gun synchronization mechanism, oil sight glass, generator and drive, cylinder fuel primers, water pump, intake manifold with locking rings, crankcase breather pipe and additional pipes. 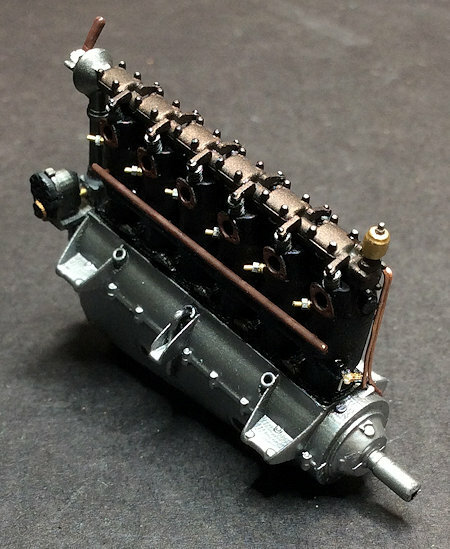 I've added the control linkage to the top of the twin carburettors, which consist two levers, connecting rod and cable pulley. 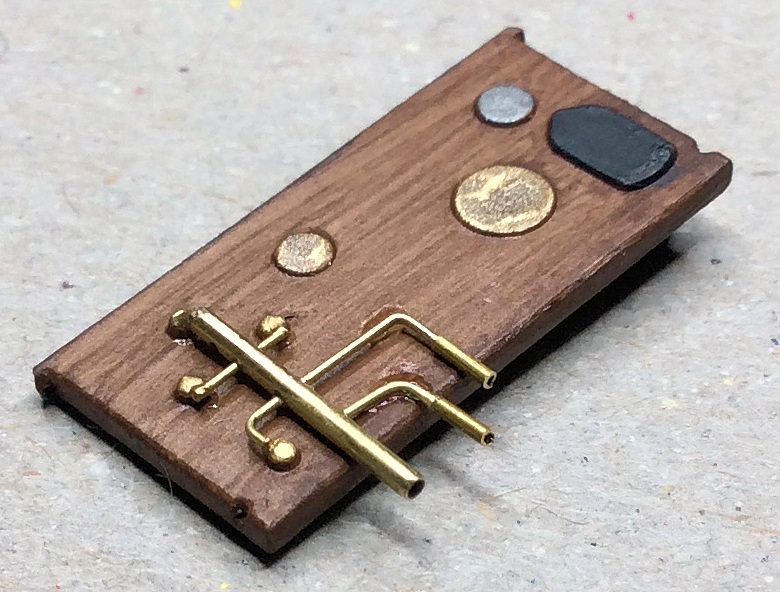 Also the connected levers on the top of the attached 'speed controllers;. 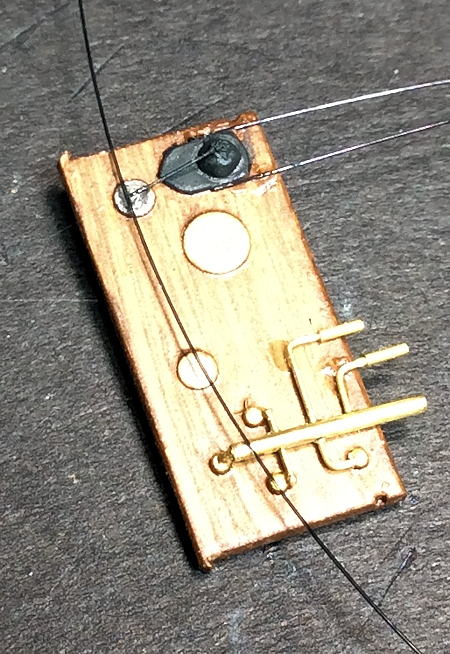 The final on-engine control linkage has been added, which is the spark advance (ignition timing) for bottom magnetos. 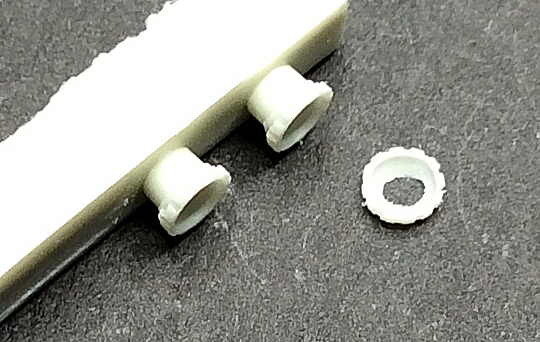 The kit supplied fuselage side frames married to the 3D printed fuselage. 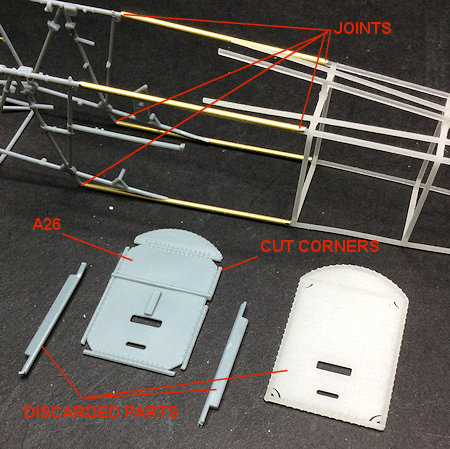 This required cutting both, as both have a pilots seat frame and only one can be used of course. 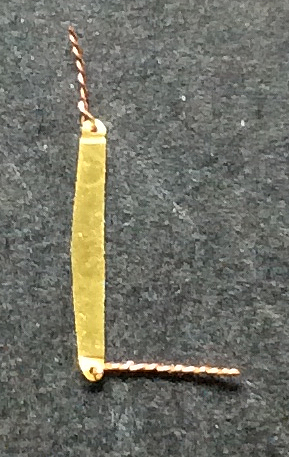 As the join between the two could be a weak area, I chose to fit them together using brass micro-tube. 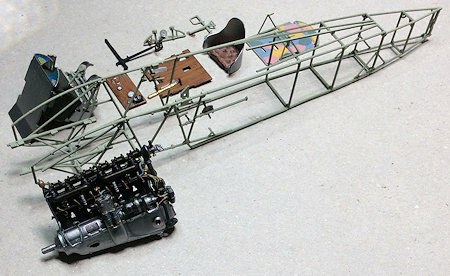 I've started on the cockpit pipework. 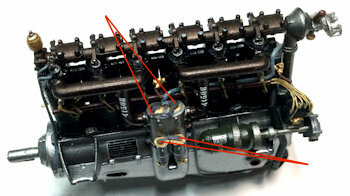 The pipe connections under the fuel tank. 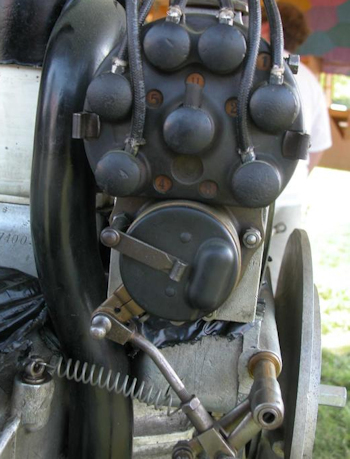 Behind the instrument panel is the fuel valve manifold (made of micro-tube) connected to the pilot's four selectors. Two pipes out are for connecting the supply from the main and auxiliary fuel tanks. 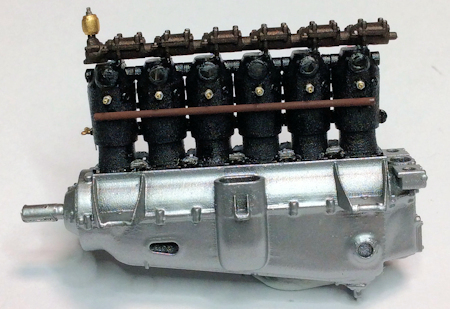 From the bottom of the manifold will be the two supply pipes to the engines duel carburetor. 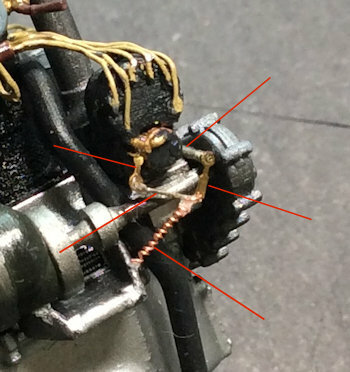 Electrical cables added to the rear faces of the starter magneto and ignition switch. 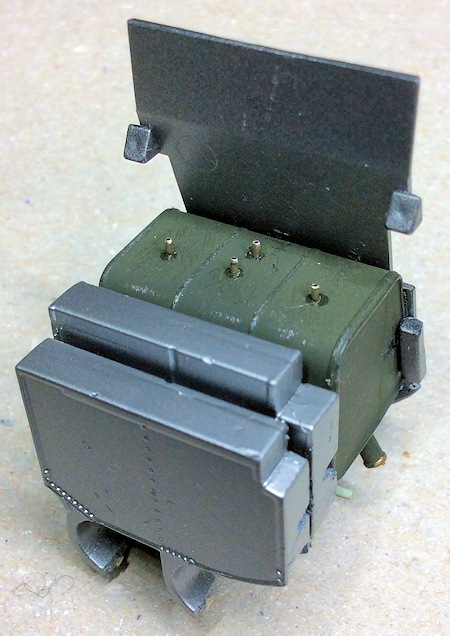 The pilot's hand operated fuel pressure pump pipe is done.